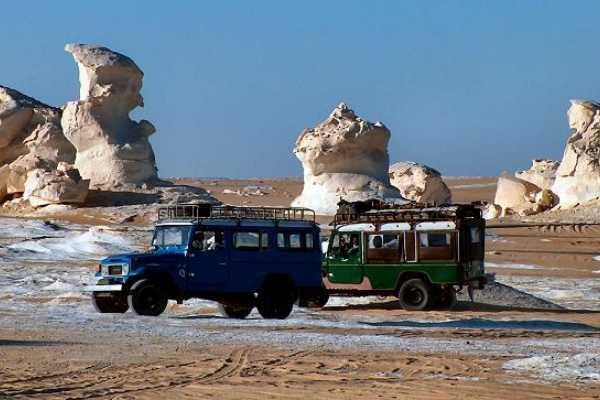 For those looking for an escape from the noise and bustle of cities and looking for a great adventure Deluxe Travel Egypt is offering you Egypt desert adventure tours to the wide Western desert. 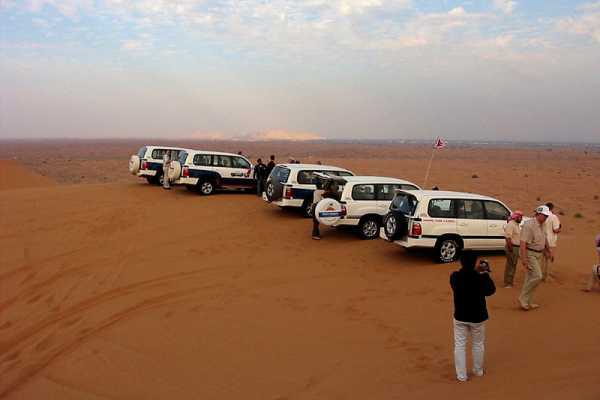 The safari tour offers breathtaking landscape, massive sand dunes, rock mountains and tranquility of the desert. Get your Safari adventure tour designed by a specialized travel agency. 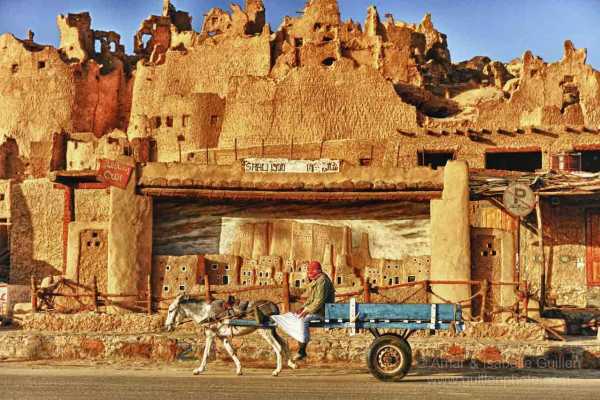 Sleep under the stars and enjoy the quitness of the place in Egypt's Western Deserts and Oasis of Baharia, Dakhla, Kharga, Siwa, Farafra, Paris Oasis. There are as well trekking tours in Sinai. Call us now to design an exploration and adventure tour. Duration: 1 Night Day 1: White desert Departure from Cairo at 7:30 am for a 365 km trip to Baharia Oasis, lunch in Baharia Oasis Proceed to visit the wonderful area the white desert passing from Mushroom valley and ice cream valley you will be able to take sunset photos from the new white desert and have barbeques dinner with Bedouin tea over night in a camp. 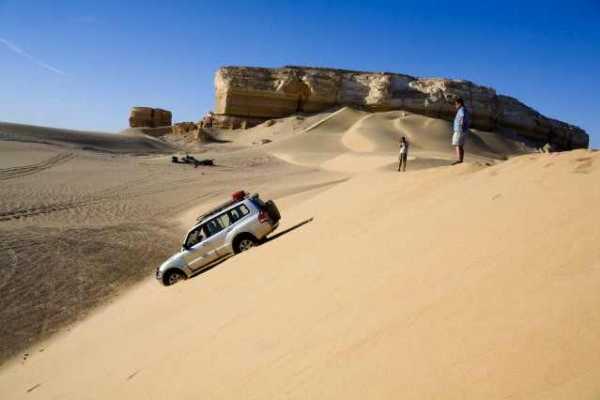 Day 2: Enjoy the light Breakfast after the sunrise, driving by jeep to cross the sand dunes towards the black desert to visit the divided mountain then driving towards el Zogag mountain. The top of this mountain has a very nice view to all of the black desert after that depart the black desert then drive to visit the crystal mountain. Drive back to Cairo. Duration: 05 Days / 4 Nights Visit Alexandria, the second largest city in Egypt, it is known as "The Pearl of the Mediterranean and its famed Libarary, the well preserved Roman Amphitheatre, Roman Catacombs, Quayet-Bey Fortress and Pombey’s Pillar. Then explore one of the oldest & the most fascinating oases in Egypt - Siwa Oasis, which is considered one of the virgin lands in the world. This tour is designed for the adventurer traveler who is looking to visit Egypt and enjoy of the beaten track attractions and scenery. 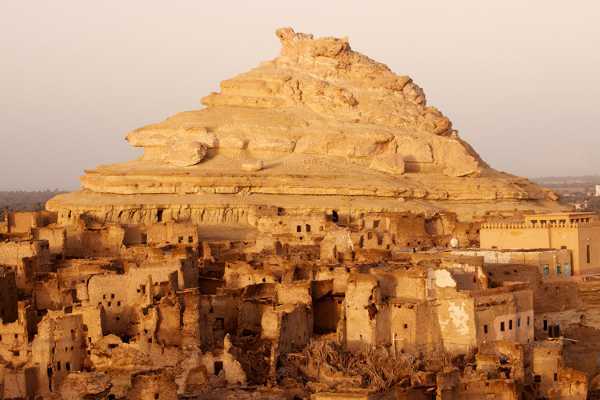 From Cairo to Baharia and back to Cairo then onto Siwa you will enjoy the best of Egyptian Oasis in 4 days span.